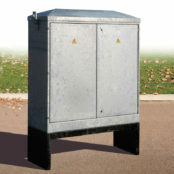 Lucy Zodion Double Door feeder pillars are manufactured from galvanised steel (with optional painted versions) for LV power distribution and control – the mild steel double door hinged pillars include the benefits of the single door type in the Fortress range including full access to the cabinet interior without the obstruction of a central divider. 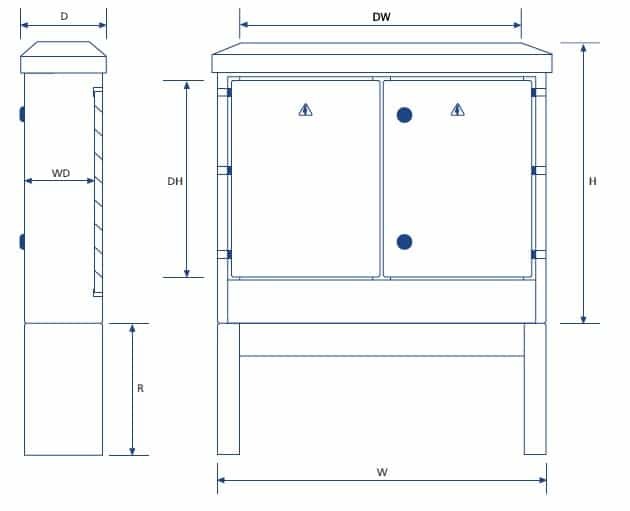 Double door feeder pillars are available available in 9 sizes: 1250mm to 2250mm widths with 3mm or 5mm feeder pillar shell thickness (stainless steel option). 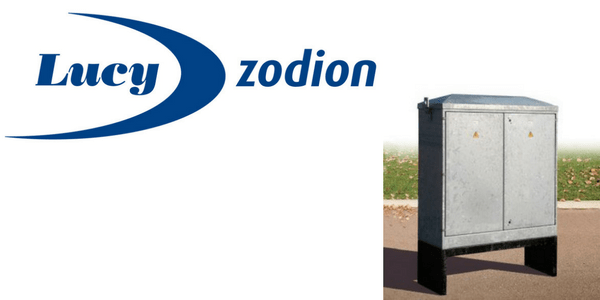 The ordering code for Lucy Zodion Double Door feeder pillars from the Fortress range is comprised of 4 sections – all dimensions are in mm. This is a Fortress range Double Door feeder pillar manufactured by Lucy Zodion – pillar size is 16, material is hot dip galvanised steel, 3mm thickness, with hasp and staple, 13 Amp socket kit and lighting kit.